Protect public trust resources and habitat, as well as senior water right holders. What is a Cannabis Priority Watershed? Contains a waterbody is designated as a “Wild and Scenic River” pursuant to the California Public Resources Code section 5093. 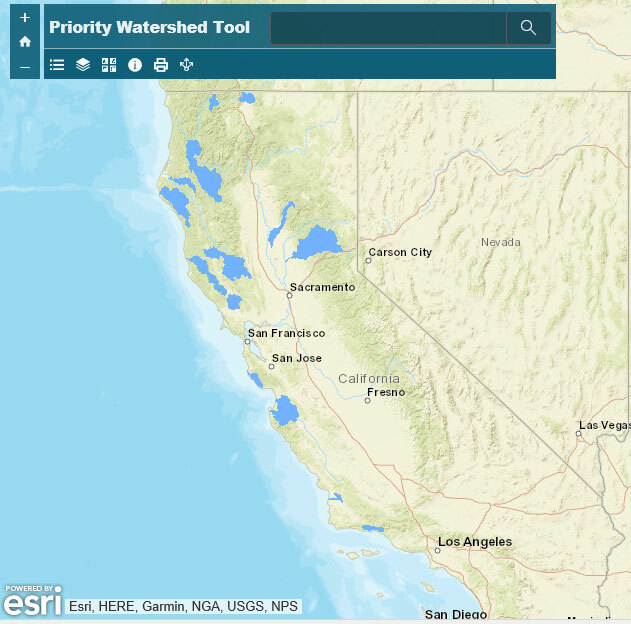 Why isn’t my watershed listed as a "Cannabis Priority Watershed"? While your watershed may not currently be identified on the map, the State Water Board and DFW will continuously review our watershed priorities, cannabis cultivation activities, and update the list of Cannabis Priority Watersheds as needed. Why were there inspections and/or outreach efforts within my watershed when it was not listed as a Cannabis Priority Watershed? Cannabis related inspections and outreach efforts are not solely limited to the Cannabis Priority Watersheds. Outreach efforts and inspections can happen throughout the State as a response to local requests, education needs, complaints, and other resource protection goals. How do I file an environmental complaint? Where can I find more information about the Cannabis Policy, Cannabis SIUR Program, Cannabis Cultivation General Order and DFW’s Lake and Streambed Alteration Agreement? Where can I file for a cannabis water right or cannabis water quality permit?